This sequel to bestseller Forbidden Archeology answers the question: If we did not evolve up from apes, then where did we come from? The controversial bestseller Forbidden Archeology documented evidence showing that humans have existed on Earth for hundreds of millions of years and catalyzed a global inquiry. We did not evolve from apes, as Darwin theorized, then where did we come from?Human Devolution is Michael A. Cremo?s definitive answer to that question- We did not evolve up from matter; instead we devolved, or came down, from the realm of pure consciousness, spirit. Basing his response on modern science and the world?s great wisdom traditions, including the Vedic philosophy of ancient India, Cremo proposes that before we ask the question, ?Where did human beings come from?? we should first contemplate, ?What is a human being?? A visual desciption of the Sacred Geometry of Life. Revealed is the Geometry for the Atomic Blueprint. A journey into the beauty of Numbers and Geometry to see how they reflect the patterns of life. 36 full colour Diagrams. 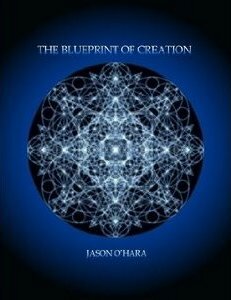 This is a truly amazing book which joins science and spirituality/philosophy (just like they were in ancient times) revealing the interconnectedness between all life through the power of number and geometry. This is a groundbreaking book and in the coming years will be hailed as genius by those who understand its significance. It also reveals the importance of the sacred sonic healing ascension codes of the solfeggio (Zobet) which are a powerful tool to help us tune in with the shift currently occurring on the planet because they help us remember we are part of nature, the cosmos and are ultimately connected to everything! The real meaning of "apocalypse" is "the lifting of the veil" of illusion. We are One! I heartily recommend this book to take you on a magical, mystery tour to prove that we are One and connected in every moment. The major challenge that presents itself now is for our minds to let go by listening more deeply to ourselves and our bodies and sound is a fast track to help us feel again together with diet and other lifestyle changes to help us get back in balance and in harmony with ourselves and nature. if you would like to know more about the exciting use of sound and other tools to awaken and tune yourself in, please check out [...] and tell your friends and family too! We have a short time now in the lead up to 2012 to get back in balance so it is one of the most amazing things you can do to help yourself and others at this time. 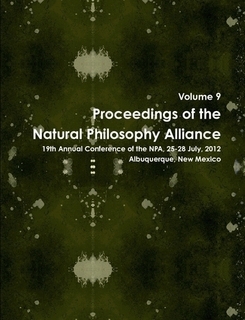 Papers from the 18th Annual Natural Philosophy Alliance which challenge mainstream physics and cosmology. 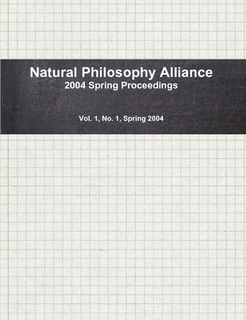 Proceedings from the Natural Philosophy Alliance for Spring 2004. Topics include physics, cosmology, and philosophy. Philosophy concerning: Reality, Truth, Knowledge, Goodness, Justice, Virtue, Beauty, Happiness, Love, Government, Social Organization, Science and Society, Determinism, Free Will, Education, and Death. One night, I started to wonder about how I could prove that 'time' is not a fundamental property of the Universe. One month later, I had finished writing a paper on what is either the Grand Unifying Theory of physics, or a record of some of the strangest therapy sessions ever devised. This book contains the paper as well as the story behind the paper and its author. Tapping nearly three millennia of scientific philosophy and drawing upon his three decades as a prolific researcher, brilliant scientist and inspiring writer, Tyson artfully deconstructs key misunderstandings that modern science inadvertently continues to embrace ? unraveling the inconsistencies and paradoxes emerging from contemporary science and science philosophy, dissecting complex principles and debunking long-held premises with illustrative examples to expose vital new insights. His provocative theories, supported with pragmatic anecdotes and symbolic metaphors, translate quantum physics into a master blueprint for all cosmology readers to examine, explore and contemplate. Tyson effectively illustrates the meaning of perceptions in a way that will prompt scientists to fundamentally rethink preconceived notions and consider new possibilities. He guides readers in a bold, new direction that provides a coherent framework in which they can truly understand the universe and the underlying Theory of Everything. Informative and illuminating, this groundbreaking book's lively style provides an enlightening and entertaining page-turner, laced with a brilliant combination of compelling theory, solid research, simple analogy, contagious enthusiasm and enough humor to break a smile on the faces of even the most serious cosmologists. 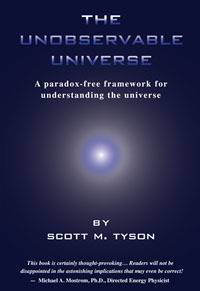 Tyson propels readers toward a new state of thinking, with a greater awareness and understanding of the mysteries of the universe that more accurately reflects its truths and realities. As a benchmark for cosmology, The Unobservable Universe will forever change the way we look at our world. 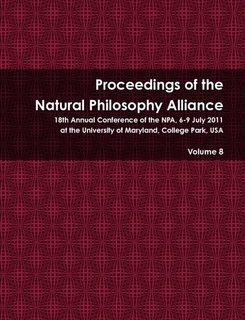 The Natural Philosophy Alliance (NPA) sponsors regular international conferences for presenting high-quality papers discussing aspects of philosophy in the sciences. Many papers offer challenges to accepted orthodoxy in the sciences, especially in physics. Everything from the micro-physics of quantum mechanics to the macro-physics of cosmology is entertained. Though the main interest of the NPA is in challenging orthodoxy in the sciences, it will also feature papers defending such orthodoxy. Our ultimate propose is to enable participants to articulate their own understanding of the truth. All papers are reviewed by society officers, and sometimes by other members, before presentation in conferences and they are edit, sometimes very significantly prior to publication in the Proceedings of the NPA. This is not a photocopy of the original, as is available elsewhere, but instead a completely retypeset 95 page quality book that includes introduction, appendices and full index. This book contains abundant, full resolution photographs of Tesla's high voltage equipment and experiments. This historical treatise is included with membership when you Join TEBA at the Contributing or Sustaining membership level. When we speak of man, we have a conception of humanity as a whole, and before applying scientific methods to the investigation of his movement, we must accept this as a physical fact. But can any one doubt to-day that all the millions of individuals and all innumerable types and characters constitute an entirety, a unit? Though free to think and act, we are held together, like the stars in the firmament; with ties inseparable. These ties we cannot see, but we can feel them. I cut myself in the finger, and it pains me: this finger is a part of me. I see a friend hurt, and it hurts me, too: my friend and I are one. And now I see stricken down an enemy, a lump of matter which, of all the lumps of matter in the universe, I care least for, and still it grieves me. Does this not prove that each of us is only a part of a whole? Of all the endless variety of phenomena which nature presents to our senses, there is none that fills our minds with greater wonder than that inconceivably complex movement which, in its entirety, we designate as human life. Its mysterious origin is veiled in the forever impenetrable mist of the past, its character is rendered incomprehensible by its infinite intricacy, and its destination is hidden in the unfathomable depths of the future. Whence does it come? What is it? Whither does it tend? are the great questions which the sages of all times have endeavored to answer. Modern science says: The sun is the past, the earth is the present, the moon is the future. From an incandescent mass we have originated, and into frozen mass we shall turn. Merciless is the law of nature, and rapidly and irresistibly we are drawn to our doom. Lord Kelvin, in his profound meditations, allows us only a short span of life, something like six million years, after which time the sun?s bright light will have ceased to shine, and its life-giving heat will be a lump of ice, hurrying on through the eternal night. But so not let us despair. There will still be left on it a glimmering spark of life, and there will be a chance to kindle a new fire on some distant star. This wonderful possibility seems, indeed, to exist, judging from Professor Dewar's beautiful experiments with liquid air, which show that germs of organic life are not destroyed by cold, no matter how intense; consequently they may be transmitted through the interstellar space. Meanwhile the cheering lights of science and art, ever increasing in intensity, illuminate our path, and the marvels they disclose, and the enjoyments they offer, make us measurably forgetful of the gloomy future. THE death knell has struck. Wave Radio is dead. How have 70 years of Military Research succeeded in producing a completely new and superior communications technology? Radio History gives a stranger walk than paranoid writers ever tell! While citizens were watching television, military research was directed to create an amazing radiation technology far in advance of any system known. Currently and routinely utilized, it has remained a well guarded "open secret" for decades. Discover why is it obvious that neither military nor private developers have yet successfully duplicated Tesla technology. Who was John Hettinger, and how were his early beam power systems modified through radar technology into ray beam weapons? What was Project Argus? Project Teak? Project Orange? Learn about the frightful characteristics of EMP phenomena, and how these were employed in a strange and deadly technology. Why was a High Command request to employ EMP weaponry in the recent Gulf War denied? Not a weapon, not a psychotronics system, not a weather modifier, why is HAARP NOT the program which so many have claimed? Why can the IRI never achieve the objectives cited by a few authors? Learn about the real motivations so powerfully at work in Conspiracy Writers, and why they are not equipped to crack the secret of HAARP. Why are the Eastlund Patents not relevant to HAARP, and why has Raytheon continued to collect every HAARP relevant patent for several years? What is the "merchandise" which HAARP promises to yield? How were X-Rays used to detect underground movements? How were Gamma Rays routinely used in communicating from submarines to command headquarters via military satellites? Facts quell hysteria, but Truth is stranger than fiction. Want the answers? This complete technical history of military projects will show the development of every relevant project preceding and exceeding HAARP. Only the facts. No hysteria. Complete with communications and weapons patent citations, this book will forever change your view of world events and technology. In Secrets of Cold War Technology, Gerry Vassilatos reveals that "Death Ray" technology has been secretly researched and developed since the turn of the century. Included are chapters on H. C. Vion, the developer of auroral energy receivers; Dr. Selim Lemstrom's pre-Tesla experiments; the early beam weapons of Grindell-Mathews; John Hettenger and his early beam power systems; Ulivi Turpain and others. Learn about Project Argus, Project Teak and Project Orange; EMP experiments back in the '60s; why the Air Force directed the construction of a huge ionospheric "backscatter" telemetry system across the Pacific just after World War II; why Raytheon has collected every patent relevant to HAARP over the past few years; and much more pertinent information on hidden Cold War technology. There are many bioelectromagnetic (BEM) devices re-emerging in the 21st century, based on high voltage Tesla coils, that apparently bring beneficial health improvements to human organisms. This book examines the Tesla coil class of therapy devices constitute pulsed electromagnetic fields (PEMF) that deliver broadband, wide spectrum, nonthermal photons and electrons deep into biological tissue. The history and rationale for such therapy machines is reviewed. Electromedicine or electromagnetic medicine are the terms applied to such developments in the ELF, RF, IR, visible or UV band. With short term, non-contacting exposures of several minutes at a time, such high voltage Tesla PEMF devices may represent the ideal, noninvasive therapy of the future, accompanied by a surprising lack of harmful side effects. 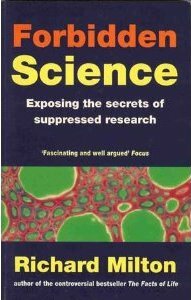 A biophysical rationale presented in this book for the benefits of BEM healing a wide variety of illnesses including cancer finds a correlation between a bioelectromagnetically restored potential, and the electron transport across cell membranes by electroporation, with normal cell metabolism and immune system enhancement. The century-long historical record of these devices is also traced, revealing questionable behavior from the medical and public health institutions toward such remarkable innovations. This report also reviews the highlights of several BEM inventions but does not attempt to present an exhaustive nor comprehensive review of bioelectromagnetic healing devices. This collection of health-related articles edited by Steve Elswick were published in ExtraOrdinary Science, the official magazine of the Int'l Tesla Society. 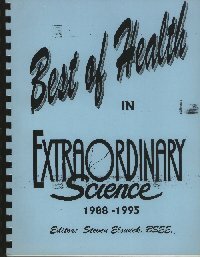 Included are articles on possible cures for cancer, light therapies, 714X, violet rays, Rife devices, and ways to alleviate the ill effects of modern living... the sick housing syndrome, electromagnetic radiation, aspartame, vaccinations, fluoridation ! A primer on suppressed alternative health issues, this is an excellent book to acquaint you with alternative technologies and the modern, everyday health hazards. It is with great trepidation that many people have looked at the HAARP program, which has it's foundation based on Tesla's greatest achievement... the Magnifying Transmitter. Inside these covers, Oliver Nichelson outlines how the Magnifying Transmitter could be used as a weapon... and that perhaps its destructive power may cost thousands their lives in a publicity stunt gone awry. His paper, Tesla's Long Range Weapon, the Tunguska Explosion of 1908, and Wireless Power not only reveals this shocking theory, but then goes on to support it with factual evidence. Shocking? yes... impossible?... NO! As we approach the 21st century, many alternative researchers have created a new field of study... scalar electromagnetics. Tom Beardon, lays out the basic scalar theory and how it differs from traditional electromagnetics. 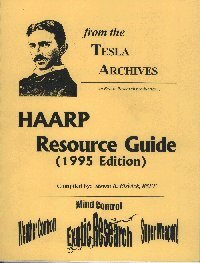 Furthermore, in his paper, Tesla 's Electromagnetics and Its Soviet Weaponization, he outlines his theory with supporting documentation, that the Soviets have been working with scalar electromagnetics for decades and have developed weapons along the line of HAARP that have terrifying capabilities. The "guide" takes a serious look at some of the other "ionospheric studies" the military undertook in the past... including setting off atomic weapons in the atmosphere. One of the claims about HAARP is related to weather control. Our chronology lays out events related to bizzarre weather, much of it intensified near the infamous GWEN sites. It appears that electromagnetic waves have more of an effect on our weather than anyone realized. 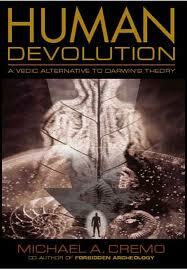 This was the first book put together on HAARP. It has material... from historical perspectives to technical theoretical explanation on how this secret device works! Includes many source documents, the Eastland patents, articles, and more!!! 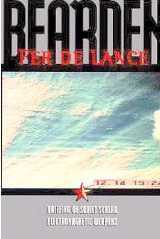 T. E. Bearden claims in this work that the Soviet Union developed scalar electromagnetic technology during the Cold War. He discusses how Nikola Tesla originally elucidated the theory of scalar electromagnetics at the turn of the century, but was largely ignored in the west. The Soviets however, saw the utility of Tesla's theories and applied them to the development of weapons of mass distruction heretofore unseen in the western world. The author explains both the theories involved and details about the successful Soviet weapons projects. It is the author's contention that Maxwell's original electromagnetic theory incorrectly deleted scalar terms in the equations of electromagnetics. He then re-introduces these terms, and explains the arresting consequences that, according to Lt. Col. Bearden, only the Soviet Union was privy to during the Cold War. 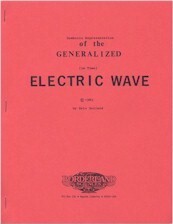 The author relates a theory of electric waves as envisioned by Nikola Tesla and some of his contemporaries that conflicts with the Hertzian concept of transverse vibrations. This paper contains many essential formulae and supporting data necessary to understand the Transmission of Electrical Energy Without Wires. Discusses and diagrams the Marconi Wireless station based at Bolinas, California, circa 1919. Unlike many erroneous modern theories of how Tesla achieved his goal, this paper is based on real work with a Tesla Magnifying Transmitter. Illustrated with charts & diagrams. Tesla devoted an enormous portion of his efforts to exploring dielectric phenomena and made numerous groundbreaking discoveries in this area. 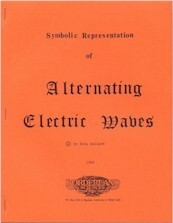 This piece addresses the relationship of the dielectric and electromagnetic aspects of electricity, providing real insights for those researchers seeking to recreate and expand upon Tesla's work. The author contends that the phenomena of dielectricity is fertile ground for profound discovery. 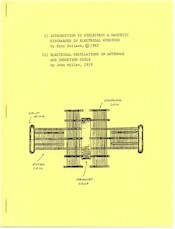 Included is a reprint of the article Electrical Oscillations in Antennae and Induction Coils by John Miller, 1919, containing equations useful to the design of Tesla Coils. Extension of the theory of versor operators and imaginary numbers to represent complex oscillating waves such as those encountered in the researches of Nikola Tesla and everywhere in Nature. Theory of Free Electricity produced by rotating apparatus such as variable reluctance devices. Waves flowing backwards in time are explored. Introduction to the FOUR QUADRANT THEORY of Alternating Current which allows engineering of Tesla?s inventions. Provides a more complete understanding of the use of versor operators (degrees of rotation), necessary to the understanding of the rotating magnetic field. The process of the production of electrical energy using the neglected QUADRANTS OF GROWTH is brought about via the use of these operators. By the U.S. Navy (1951). First came the vacuum tube, then the transistor, right? Not really. In between there is another "lost" entity. Electronics engineers of the 1950's believed the rugged little magnetic amplifier was going to replace the less reliable vacuum tube in all its functions up to a megacycle. Originating in the USA but adopted and developed by the Nazis for the V2 missile, the mag amp after WWII found a clique of boosters among U.S. electronics engineers. Still evident in some regulators, the mag amp can also magnify, modulate, switch, invert, convert, phase shift, multiply, and even compute. It requires zero maintenance and can handle thousands of amperes. Modulate your Tesla coil with a mag amp. 43 illustrations. Not a reprint. Completely reset and redesigned. 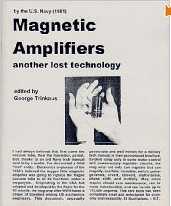 A Magnetic Amplifier Bibliography is published separately by High Voltage Press. 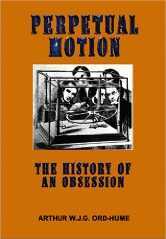 An illustrated overview of perpetualmotion machines and their inventors. The deceptively simple task of making a mechanism which would turn forever has fascinated many famous men and physicists throughout the centuries. In fact, the basic tenets of engineering grew from the failures of these perpetual motion machine designers. And, despite the naivete and even the blatant trickery of many inventors, there still exist a handful of mechanisms which defy explanation: * a vast canvascovered wheel which turned by itself was erected in the Tower of London * another wheel turned endlessly in Germany and was discussed by philosophers and scientists throughout Europe, including Sir Isaac Newton. A collection of several articles relating to non-conventional "Tesla-like" AC electrical systems. 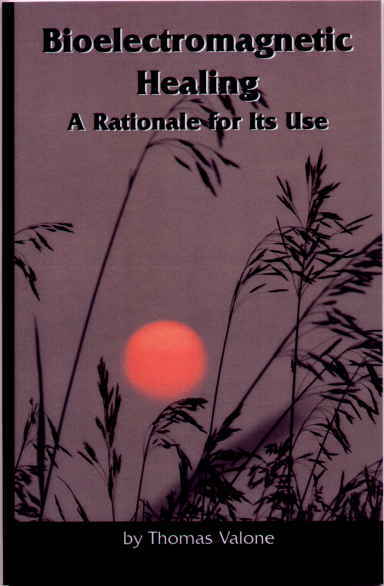 George D. Hathaway, "Engineering Non-Conventional Energy Systems," Energy Unlimited, V23, pp. 34-41 (1994?). George D. Hathaway, "Engineering Non-Conventional Energy Systems, Part II," Energy Unlimited, V24, pp. 43-47 (1994?). Patrick Bailey, "Dangers in Measuring the Power of AC Devices with Meters" (6 pages, 2001?). Ludwig Brits & Victor Christie, Intl. Patent App. H02P 7/36, 5/28 (control of a rotary device). J. W. Ecklin, "Over-Unity Update," Magnets in You Future? John W. Ecklin, "Premanent Magnet Motion Conversion Device," US Patent 3,879,622 (22 Apr 1975). 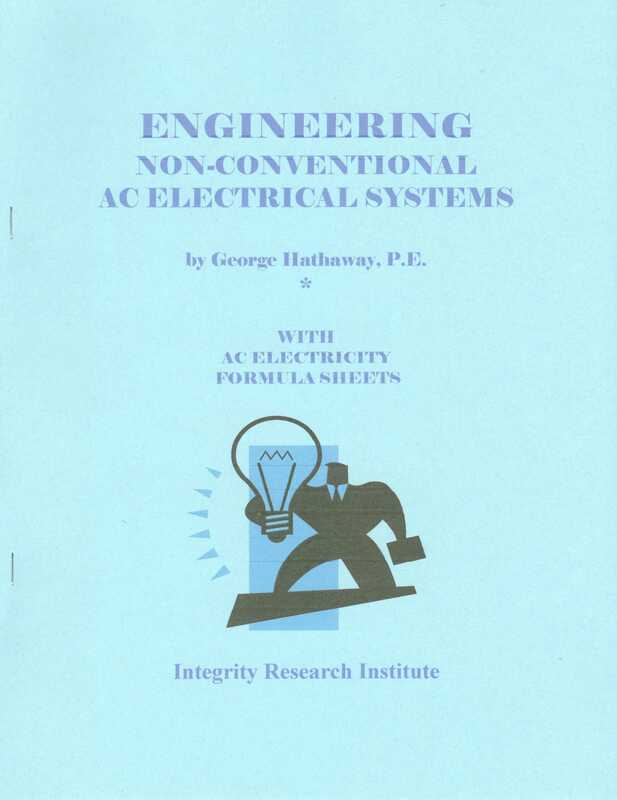 Thomas Valone, "AC Electricity Formula Sheets" (4 pages of useful formulas). How an ancient classification of occupations can help with people finding a purpose in life, and create a more healthy economy. Especially recommended for students. Available for free download at http://www.teslaacademy.info/. 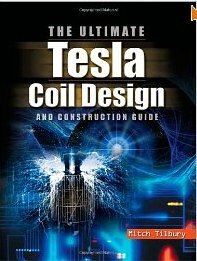 The Ultimate Tesla Coil Design and Construction Guide is a one-stop reference covering the theory, design tools, and techniques necessary to create the Tesla coil using modern materials. This unique resource utilizes Excel spreadsheets to perform calculations and SPICE simulation models on the companion website to enhance understanding of coil performance and operating theory. Ever since Nikolas Tesla pioneered this technology 100 years ago we have been fascinated by his "Lightning Machine." 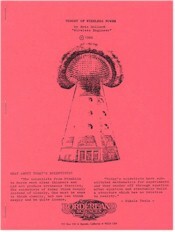 This book is great for the advanced Tesla coil creator, and adds some hints for the beginner. It would be useful with a few other books about Tesla coils. People might need some technical expertise to use this book. But overall great for the advanced.